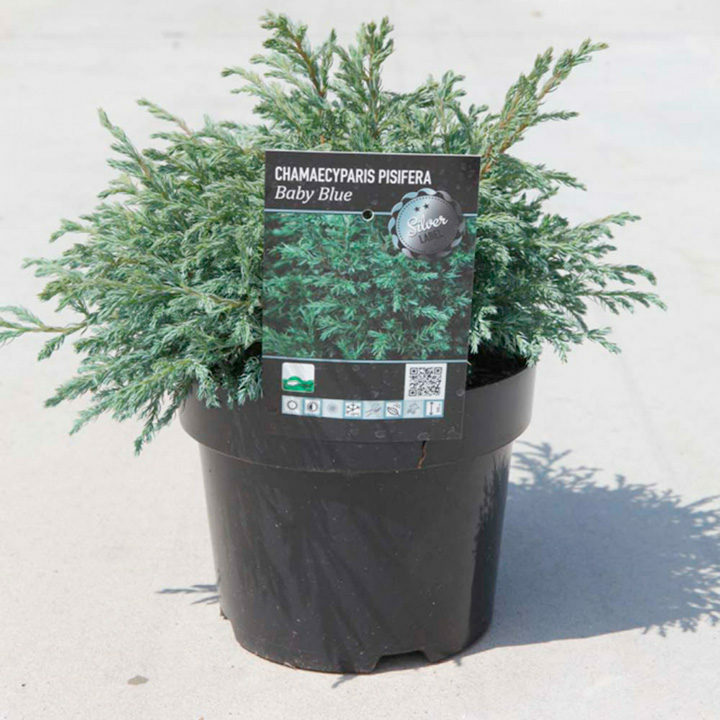 An eyecatching cone-shaped conifer, Baby Blue will make an excellent specimen tree with its silvery-blue foliage. During severe cold periods the foliage may take on an attractive purple shade to provide more interest at different times of the year. Height 150-200cm. Supplied in a 5-7.5 litre pot. An eyecatching cone-shaped conifer, Baby Blue will make an excellent specimen tree with its silvery-blue foliage. During severe cold periods the foliage may take on an attractive purple shade to provide more interest at different times of the year. Height 150-200cm. Supplied in a 3 litre pot or 5.7.5 litre pot.